Revelers, wear your Mardi Gras colors! This cockade is approximately 3" (7.5 cm) across and has a silver-plated pin back. Mardi Gras has a long and ancient history. 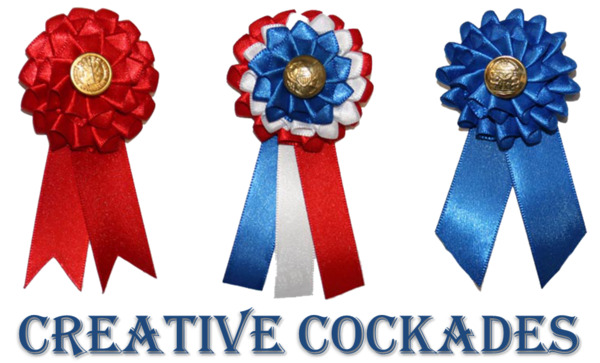 However, 1872 was the year that a group of businessmen invited a King of Carnival, Rex, to preside over the first daytime parade in New Orleans. 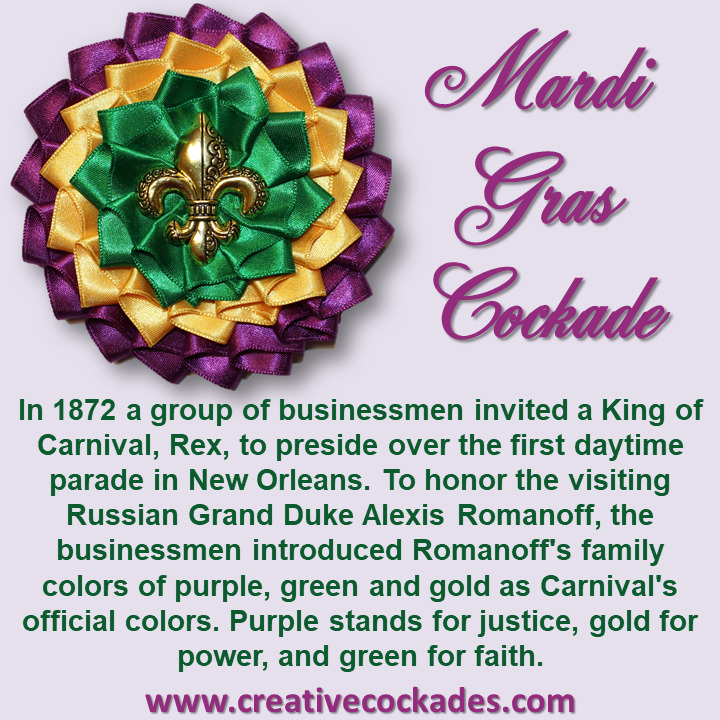 To honor the visiting Russian Grand Duke Alexis Romanoff, the businessmen introduced Romanoff's family colors of purple, green and gold as Carnival's official colors.